All international students must obtain Russia study visa to enter Russia for their academic program. Almost every national who want to travel to any other country requires a visa to enter that country for tour,visit,business or study purpose. Different countries have different visa rules and this all depends on the nationality and bilateral visa accords. Asian and African national require a visa to enter any European country but national of a European country in most cases do not need a visa to enter other European country. Visas are issued by the Embassies of the country where you want to travel. Sometime you require some documents to prove the purpose of your travel to the respective country. 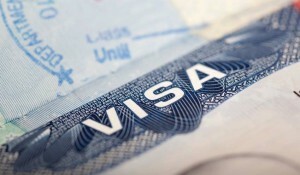 Sometime there is no Embassy of the country where you want to travel but according to immigration laws you must require a visa before arrival so in that case you must find the nearest Embassy to you for your visa application because without visa you will not be able to depart and enter in that country. WHO NEEDS A STUDENT VISA FOR RUSSIA? All international students must obtain student visa for Russia if their purpose is higher education in Russia. This visa permits you to enter Russia for your academic program and duration of your degree program. Nationals of African and Asian countries must obtain Russia student visa to enter Russia according to Russian immigration laws. There are Russian Embassies almost in every country which receive the visa applications from the international students. For example a Nigerian student obtains his/her study visa from the Embassy of Russia in Nigeria. Just like that Indian students obtain their study visas from the Embassy of Russia in India. Students from African and Asian countries require an official study invitation approved by the federal migration department in Russia to lodge their visa application at the Russian Embassy in their country. Without this official study invitation they are not eligible to apply a student visa at Russian Embassy. These student visa invitations are processed by the registered agencies in Russia which you may find on the internet and we are one of them. Normally a students visa is not refused for Russia once students have their all documents with them with official study invitation llike other European countries where the refusal rate for African and Asian students is too high. Russia may say is the only country which has most of the Embassies in the world to ease the travelers to Russia and to lodge their visa applications. You may find the Russian Embassy in your country easily as Russia has a big network of Embassies worldwide. In case you are not able to locate the Russian Embassy for your student visa application than write us today and we will provide you the address of Embassy in your country. 1:Fully filled visa application form. In some cases Embassy may require additional document or information from the applicant. You need Russian study invitation?We are here for your complete admission process so write us today for your complete admission and visa arrangements for 2019 intake.We assure you a quick admission process and Russian study invitation processing right now.